When Steve Brightman began writing this book and when Crisis Chronicles Press decided to publish it, we had no idea that Lou Reed would be dead when it came out. I was just happy to be offered a book of poems inspired by a personal hero and composed by someone I respect greatly as a poet and person. Now we offer it to you. Published on 3 December 2013, 13 Ways of Looking at Lou Reed consists of 13 poems, lovingly hand assembled and saddle staple bound with prime quality off-white cardstock, black endpapers and white pages. I created the cover art by manipulating Lou's senior picture, swiped from the 1959 Freeport [New York] High School yearbook. The chapbook is available for $5 from Crisis Chronicles Press, 3431 George Avenue, Parma, Ohio 44134 USA, as well as from select bookstores like Cleveland's Guide to Kulchur: Text, Art & News and Mac's Backs. Click here to read "There is Only One Lou Reed" from the chapbook at Lost in the Forest. Click here to read "Vending Machine Profiteers" in the Crisis Chronicles cyber litmag. 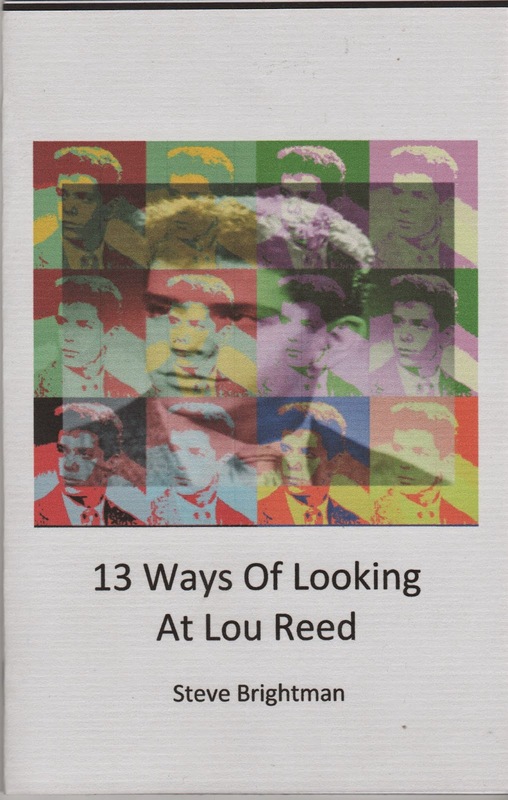 Click here to see reviews and ratings of 13 Ways of Looking at Lou Reed at Goodreads. Steve Brightman lives in Kent, Ohio. 2013 has been kinder to him than some years. 2014 is showing promise, too. 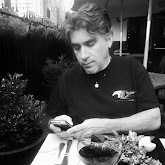 "Steve Brightman's poetry is both piquant and pithy. This short collection is an excellent homage to an iconic musician. It will grab you and not let go. In one poem, 'Everyone is 1973...Everyone is Lou Reed.' I'm there, man. "Multifaceted and quietly wise, 13 Ways of Looking at Lou Reed has me pondering the many ways in which famous and creative people enter our lives, as complete strangers and simultaneously as intimates. A fascinating Reed!" 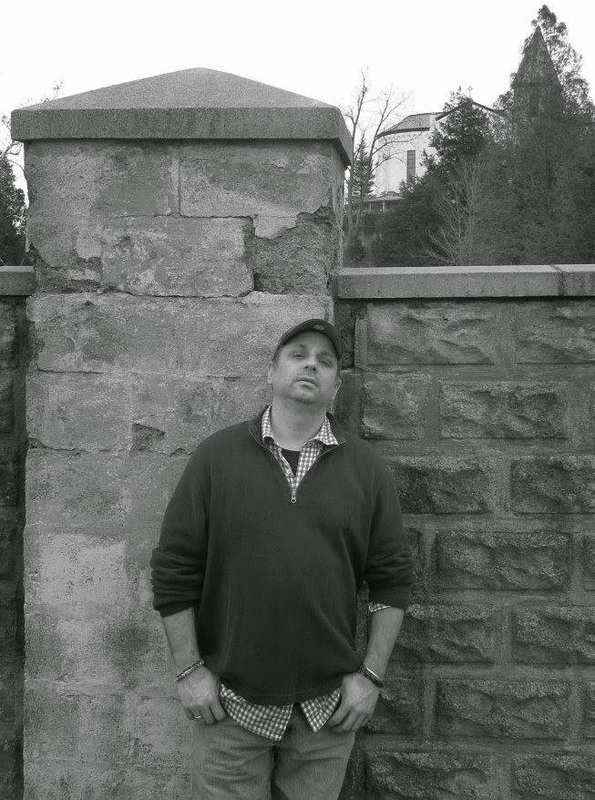 Read a recent interview with Steve Brightman at Poetry Matters.